Electronica legend Moby returns with another new album this year less than a year after he dropped ‘More Fast Songs About the Apocalypse’ with The Void Pacific Choir. ‘Mere Anarchy’ marks his first video of the year and second from ‘Everything Was Beautiful, and Nothing Hurt’. It’s a black and white montage of destruction, for want of a better description. 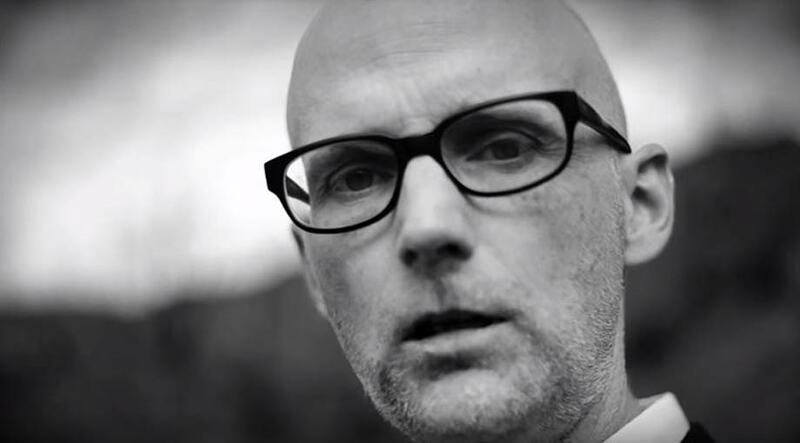 The video is intertwined with images of dead trees, an abandoned hospital and a violent sun, as Moby himself stands in a desolate wasteland of sorts. It has been directed by Rob Gordon Bralver, who also helmed the first video from the album ‘Like A Motherless Child’. The last year has been a busy few months for Moby, who never seems to be out of the studio these days. In 2017 alone he released two remix albums – ‘Black Lacquer’ and ‘Suara Remixes’ – as well as his second collaboration with The Void Pacific Choir, which followed 2016’s ‘These Systems Are Failing’. The title of his latest album references that of Billy Pilgrim’s epitaph in Kurt Vonnegut’s 1969 novel ‘Slaughterhouse-Five’. The first single from the record was the aforementioned ‘Like a Motherless Child’. ‘Everything Was Beautiful, and Nothing Hurt’ will be released on March 2nd 2018 through Mute and Little Idiot records.